Post-secondary Education Options is an opportunity for eligible high school students to enroll in college or university courses that earn credits simultaneously for both their high school diploma and their college degree. In 1985, the Minnesota Legislature passed Minnesota Statute 124.09D to promote rigorous course taking and improve student transitions to postsecondary education. Eligible PSEO students can take a range of classes, including general education, and career and technical courses. General education courses are usually liberal arts. Examples include English, calculus, anatomy, biology, political science, art history and psychology. Career and technical courses focus on preparing students for specific occupations and can lead to a certificate, diploma or associate degree. Examples include nursing assistant, manufacturing technician, accounting, business and engineering. The Minnesota Transfer Curriculum is a series of general education courses in 10 goal areas totaling 40 credits that are widely accepted at all state colleges and universities. Will my PSEO coursework transfer to other colleges and universities? All course grades under the PSEO program appear on a sponsoring college or university transcript. 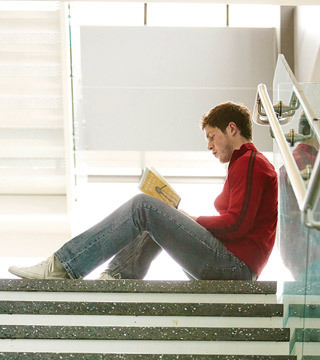 Courses that are part of the Minnesota Transfer Curriculum are widely transferable among state colleges and universities for general education credit. Receiving institutions determine how coursework counts toward completion of the student’s degree. If you are interested in transferring to another institution, work with a college or university advisor to assist in transfer of courses to your planned receiving institution. Under the PSEO program, tuition, fees and books are paid for students who are also earning high school credit. Consumable supplies specifically required for a class, such as art supplies and film, also are paid. The program does not cover general school supplies, such as notebooks, pens, pencils or nonconsumable supplies, such as calculators, instrument rental or uniforms. The cost of on-campus housing is not covered by the program. Can I take courses on a MnSCU campus as a PSEO student? Yes, PSEO allows eligible students to take courses on a campus taught by a college or university faculty member. Can I take fully online college courses? Yes, PSEO allows eligible students to take online college or university courses taught by a college or university faculty member. Concurrent enrollment is a college or university course taught by a credentialed high school instructor and mentored by a college or university faculty member at a high school. Am I eligible for PSEO or concurrent enrollment? High school juniors must be in the upper one-third of their class or score at or above the 70th percentile on a test, such as the ACT or SAT. Seniors must be in the upper one-half of their class or score at or above the 50th percentile on the ACT or SAT. Colleges and universities may admit students based on other documentation of ability to perform college-level work. Students need to meet prerequisite requirements of the course. The college or university makes the final determination on a student’s readiness. High school sophomores may enroll in a career or technical education course at a MnSCU college or university if they have attained a passing score or met the 8th grade standard on the 8th grade Minnesota Comprehensive Assessment in reading and meet the other course prerequisites or course enrollment standards established by the college. These standards include but are not limited to assessment test scores, program admission or other requirements. Campuses may require 10th grade-eligible PSEO students who wish to enroll in a career and technical course to meet with a college counselor or advisor to plan the student’s course taking. The course cannot be filled with eligible 11th and 12th grade concurrent enrollment students. Meets prerequisite requirements of the course as determined by the college or university. Is there an orientation for PSEO students? Yes, MnSCU campuses host specific orientations for both PSEO and concurrent enrollment students. Orientation sessions review registration requirements and help students learn about academic services available to PSEO and concurrent enrollment students. What happens if I don’t pass the course? That is a risk for students in this program. If a class required for high school graduation is not successfully completed, the student might not be able to graduate with his or her high school class. In addition, a grade will be recorded on a permanent college or university transcript. What types of assessment tests are used to determine if a student meets a prerequisite for a course? Minnesota State campuses currently use the ACCUPLACER to assess readiness in English, reading and math. Campuses also accept equivalent scores from ACT and SAT. Can I earn up to an associate degree or an occupational diploma as I graduate from high school? Yes, students have been able to earn up to an occupational diploma or associate degree as they dually complete requirements for their high school diploma and their college credential. Students should work with a college or university advisor to assure they are taking courses that will count for dual purposes. Students should also work with their high school counselor to assure they are on track for high school graduation. If a student chooses to participate in PSEO, can they still participate in their high school sports and extra-curricular activities? According to Minnesota Statute 124.09D, participating in a PSEO course cannot by itself, prohibit a student from participating in high school extra-curricular activities. Are home schooled students also eligible for PSEO? Who should students contact if they are interested in learning more about PSEO? Students should contact the college or university they are interested in taking classes from and connect with their PSEO or concurrent enrollment coordinator, usually housed in the college’s or university’s admissions office for additional information.